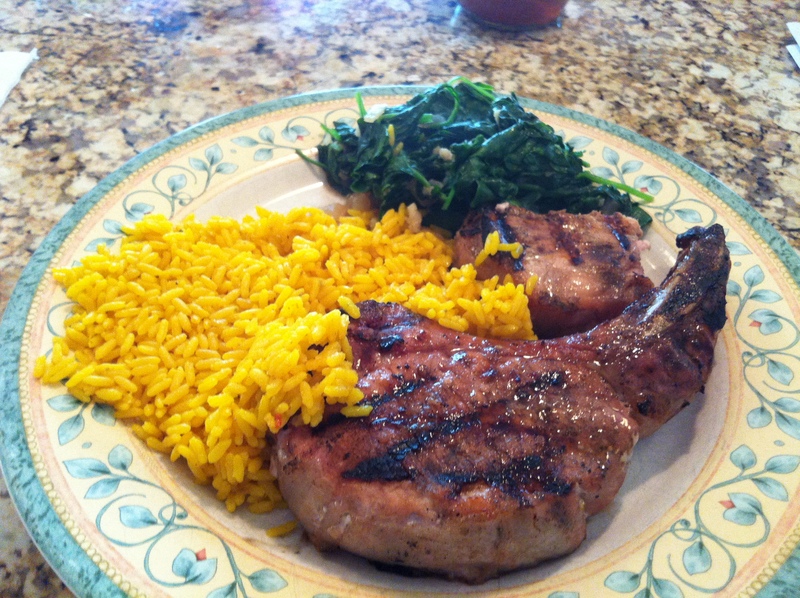 1) Mix lemon juice through garlic together and place in ziplock bag with pork chops. Marinate for 8 hours. 2) To cook, preheat grill. First sear over high heat ~2 mins a side. Then transfer to indirect heat and cook ~10 mins until pork chops are cooked.